Although this blog was created with the intention of sharing with you my adventures in Switzerland, reading the news this morning made me want to tell you about a place far far away. I have been very fortunate to have worked and travelled rather extensively in Africa. 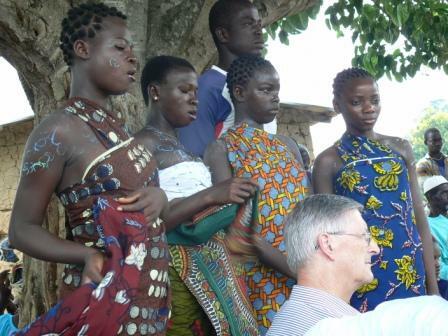 I spent some time in the Côte d'Ivoire last year teaching at one of the universities in Abidjan. 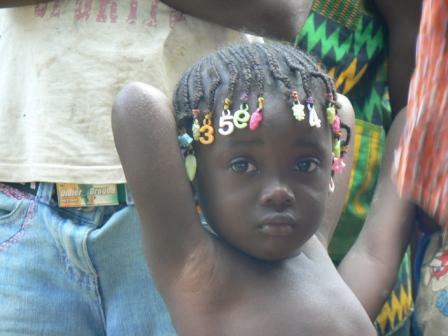 Côte d'Ivoire has been in the news quite frequently in the last few months, following the presidential elections earlier this year which have re-ignated some of the tensions which date back from the civil war between 2002 and 2007. 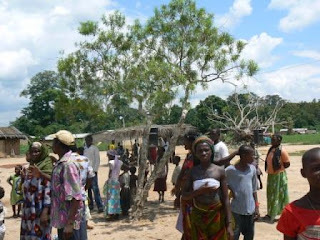 Whilst two men are fighting for the country's presidency, at least 800 people have been killed in the western city of Duekoue this week as a result of ethnic violence. 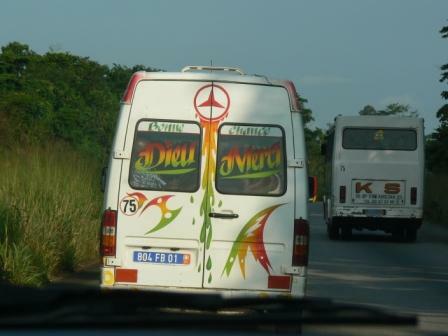 Just like the message at the back of this Ivorian minibus: "Good luck and God bless".